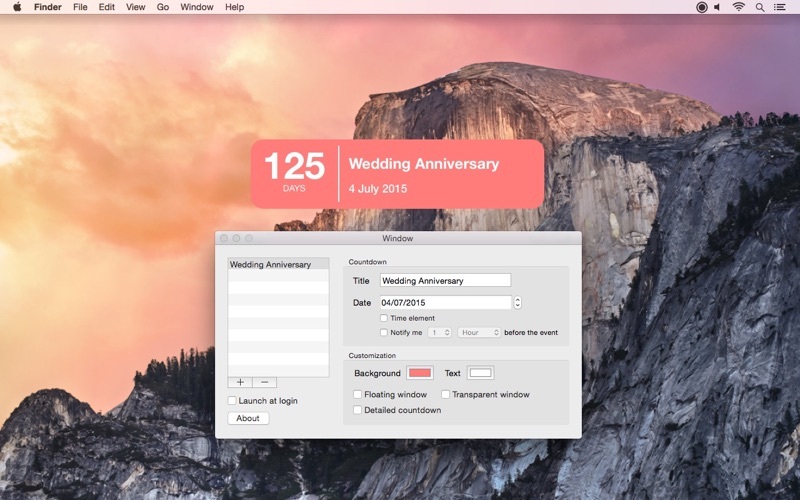 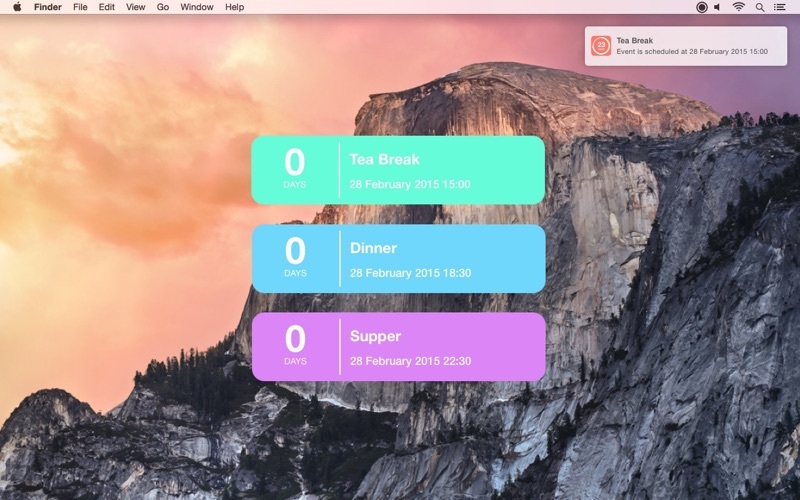 Big Day Countdown is a Menubar App that helps you count down to the special day of your life! 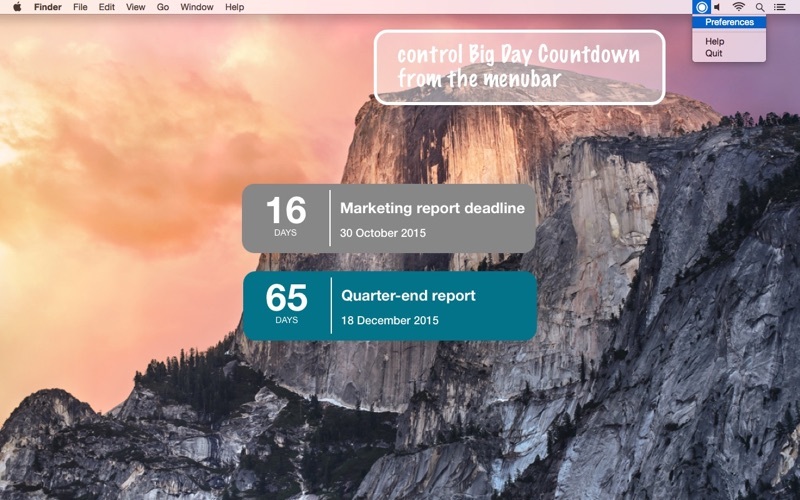 *After launching Big Day Countdown, a small circular icon will appear on your menubar. 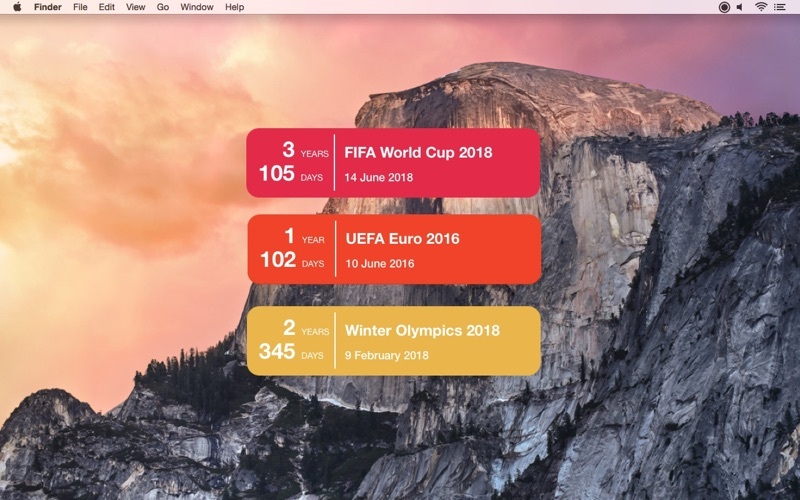 Click on the icon and select Preferences to configure your countdown.